From Anonymous of Dallas, Texas on 7/26/2007 . This bag fits perfectly onto the cart and is light weight and easy to carry to and from cars. 7/26/2007 – How much does this bag weigh? 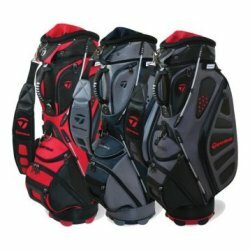 Response From FirstFairway: Weight is only 6lbs!